This page is dedicated to organizing relevant information about the biliary tree. The biliary tree is a system of vessels that connects the liver, gallbladder, and pancreas to the duodenum. The biliary tree helps to direct secretions from the liver, gallbladder, and pancreas through a series of ducts into the duodenum. These secretions can include bile and digestive enzymes that are important for the processing of material in the bowels. The biliary tree is located between the liver, gallbladder, pancreas, and duodenum. The biliary tree has many branches that include various different organs. The right hepatic duct and left hepatic duct will originate from the liver to form the common hepatic duct. This duct will travel outside the liver (and can be also referred to as a extrahepatic bile duct). The cystic duct will connect the gallbladder to the common hepatic duct which in turn forms the common bile duct. This cystic duct will transport bile into the biliary tree. 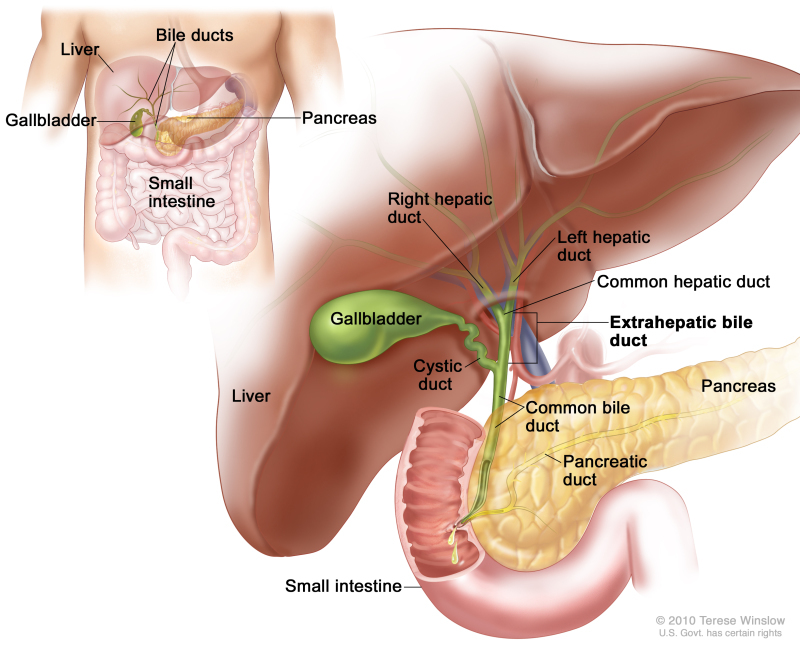 The pancreatic duct connects the pancreas to the most distal aspect of the common bile duct. The exit hole of the terminal branch/duct of the biliary tree (which at this point is a the merging of the common bile duct and pancreatic duct) exits into the duodenum at a structure/opening called the papilla of Vater.